After The Night Riders of Harpers Ferry, The Bravest Girl in Sharpsburg, and Retreat From Gettysburg were published, I did a lot of school visits. And many students asked me the same question: Why don’t you write a Civil War story about someone from Wisconsin? I’d lived in Wisconsin for quite a while by then, so I thought that was a great suggestion! Elisha survived the war, but he regretted his impulsive enlistment. Elisha’s memoir wasn’t a dry account of tactics. 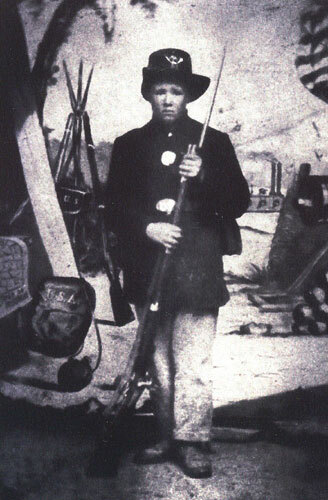 Instead, he wrote about what it was like to be a boy in the Union Army. Elisha made a perfect buddy for a fictional character. For main characters I created Jamie, a young soldier from Wisconsin, and his cousin Althea, who lives in Vicksburg, Mississippi. That gave me the opportunity to narrate the Vicksburg campaign from two different perspectives: a civilian trapped in the city during the siege, and a Union soldier engaged in that siege. I like to write stories with no simple “good guys” and “bad guys,” and this story structure, with alternating points of view, let me help readers imagine the conflict from both sides. I had never been to Vicksburg, so a trip south was first on the agenda. 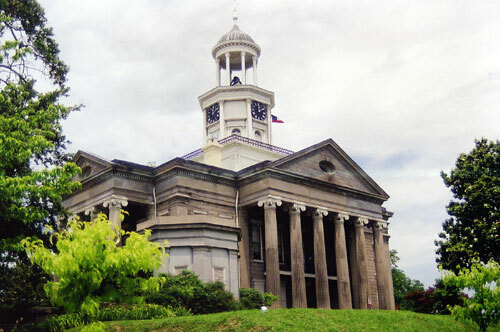 The old Vicksburg Courthouse looks very much as Elisha would have seen it. 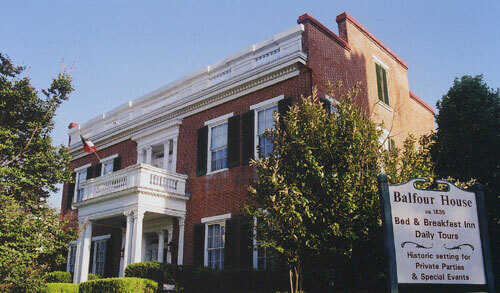 I stayed in an old home, the Balfour House, which at that time was a Bed & Breakfast Inn. 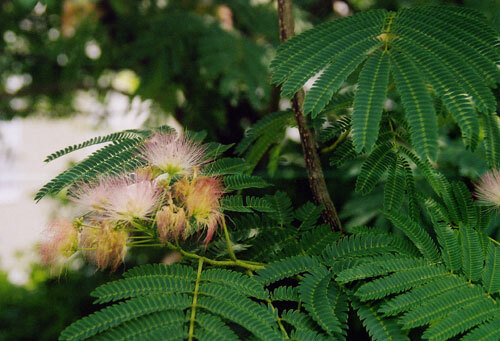 On trips like this I pay attention to natural environment, too. Mississippi would have been a totally new environment for the Wisconsin farmboys traveling south for the first time. 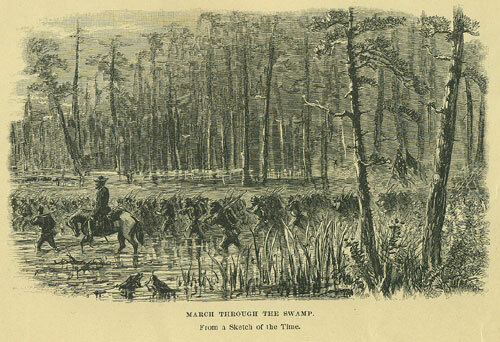 March Through the Swamp, captured by a newspaper artist. 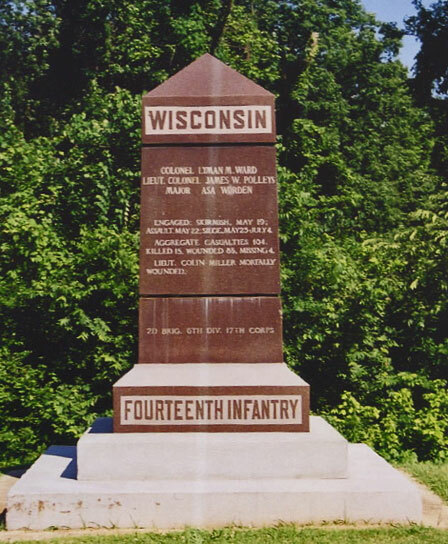 I also visited the battlefield and retraced what I could of the route the 14th Wisconsin boys traveled. 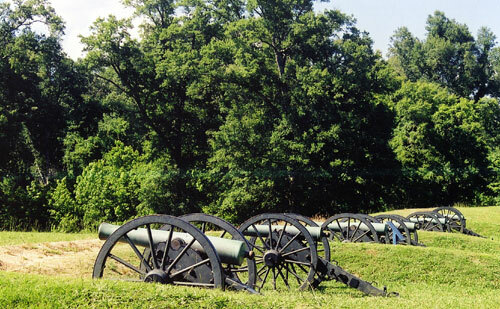 On the field at Vicksburg National Military Park. I was doing research, but also paying homage to those men who sacrificed so much, so many years ago. 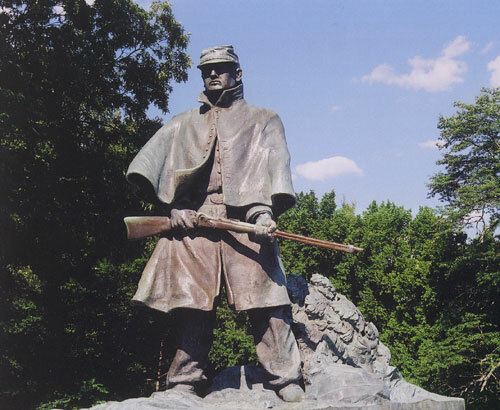 Despite my best efforts, I know I can never truly imagine what it was like for the Vicksburg civilians who endured the horrific siege, just as I can’t ever really know what it was like for the farmboys, like Elisha Stockwell, who marched into unknown terrain and terrifying battle. The title of my novel, Ghosts of Vicksburg, reflects the idea that many of the people who endured so much knew that their old lives—their old selves—were gone forever.